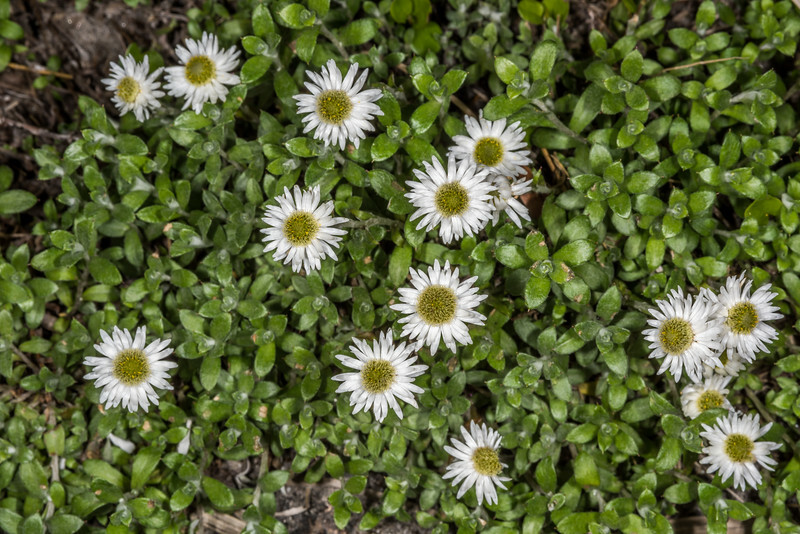 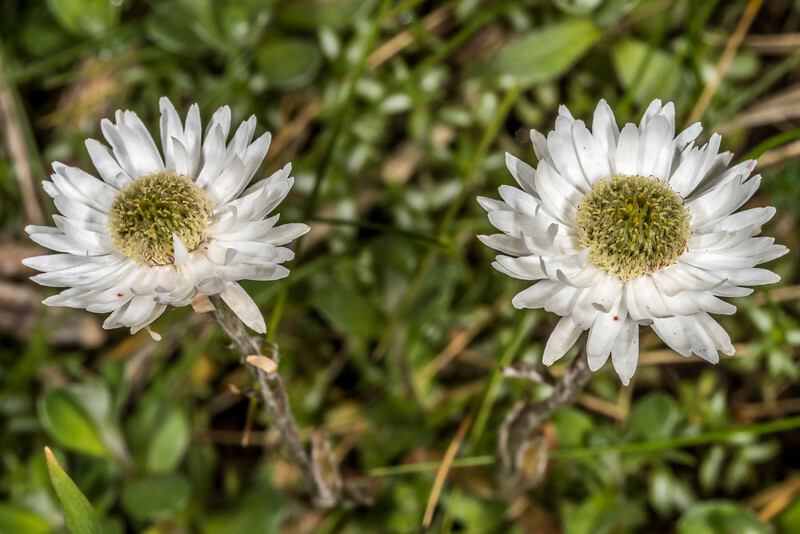 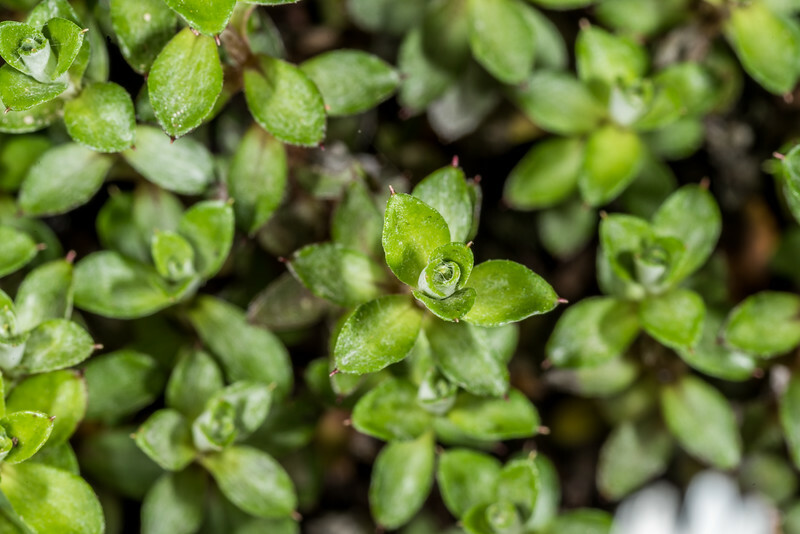 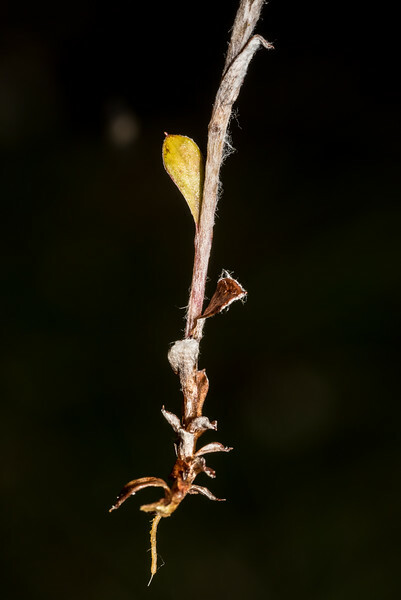 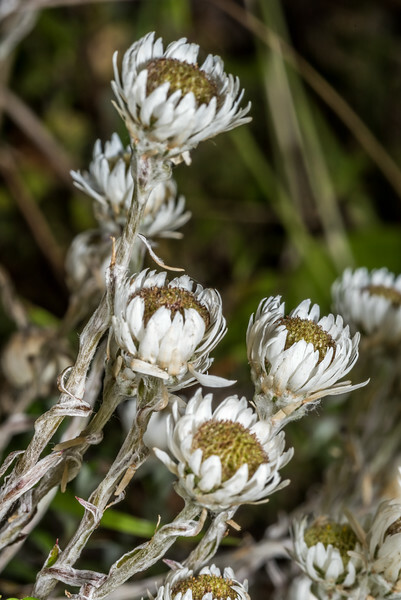 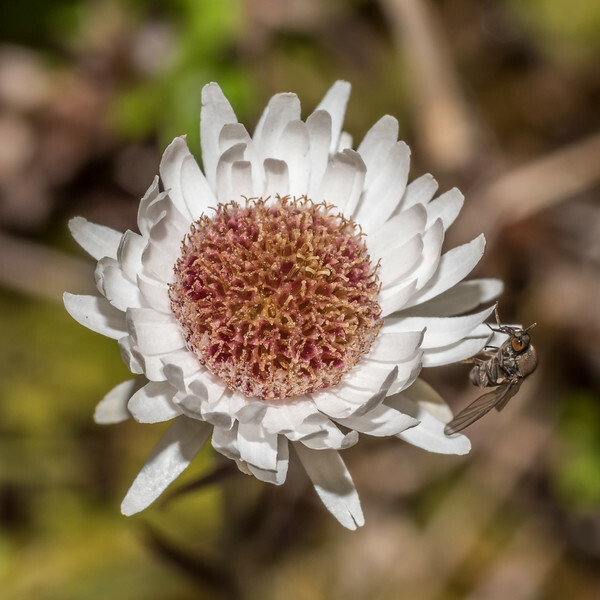 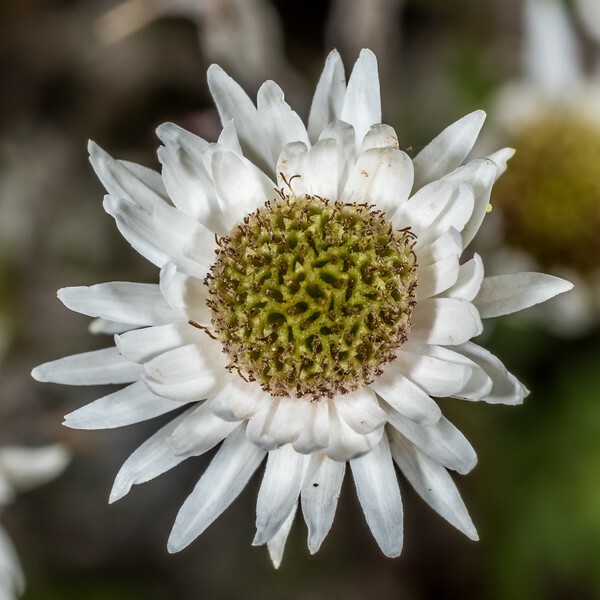 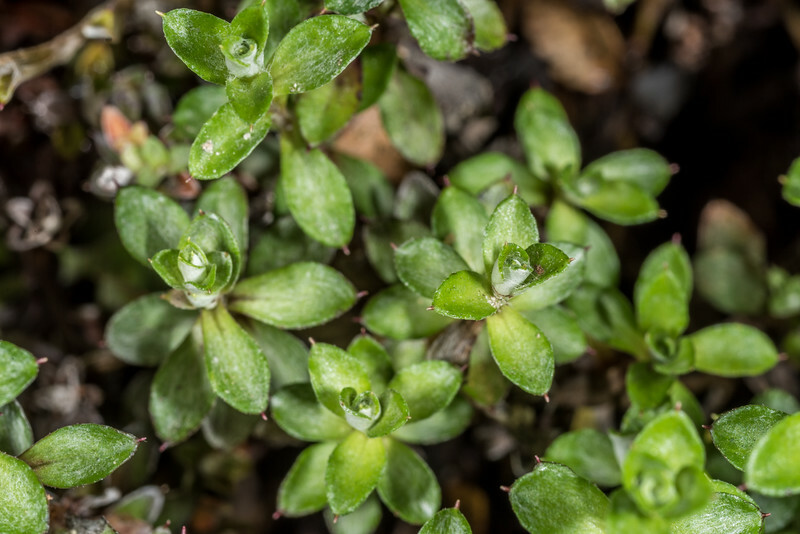 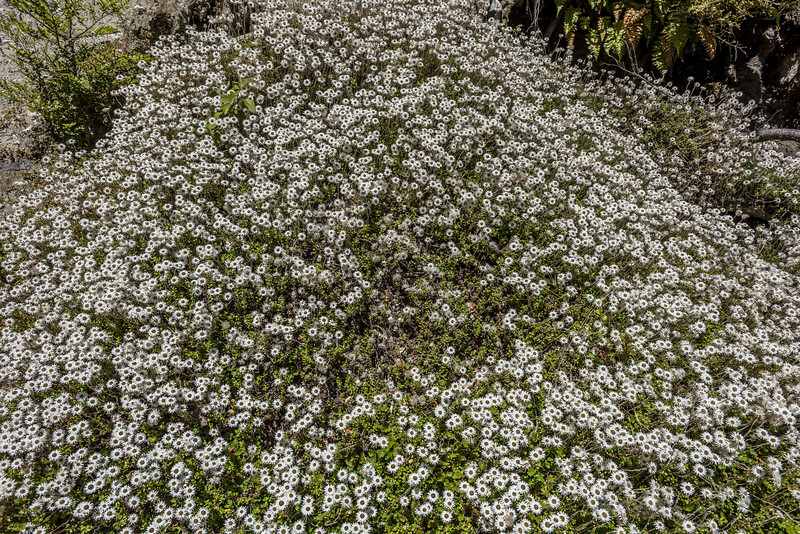 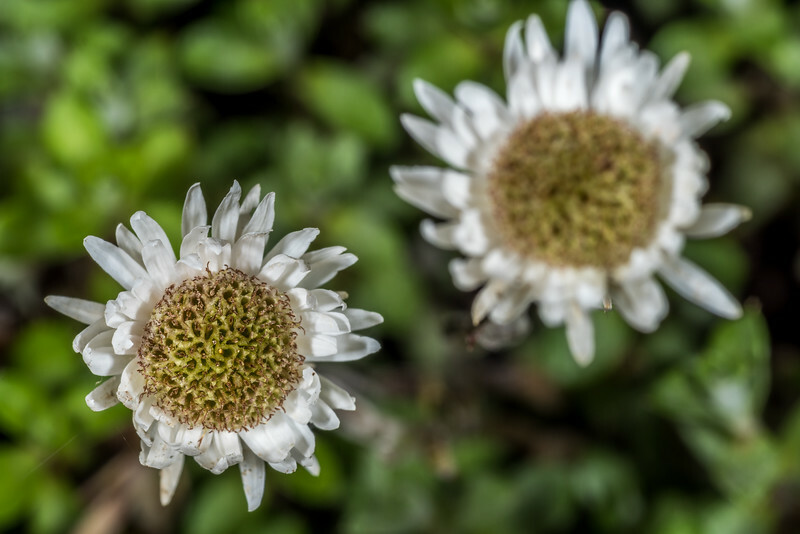 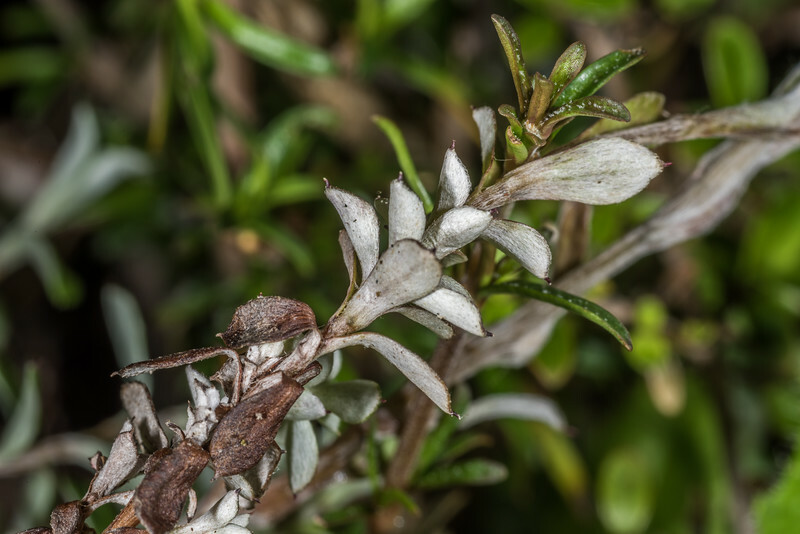 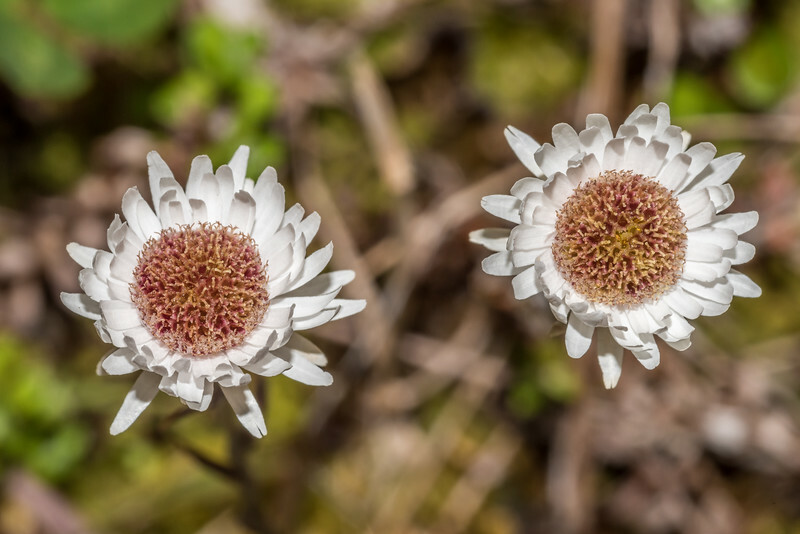 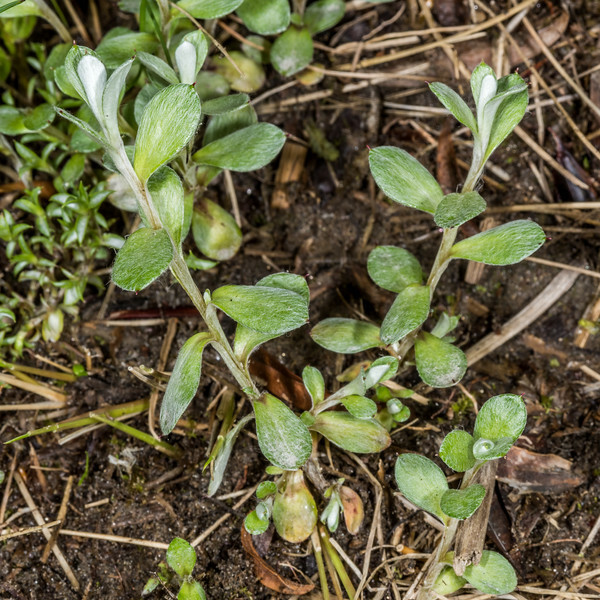 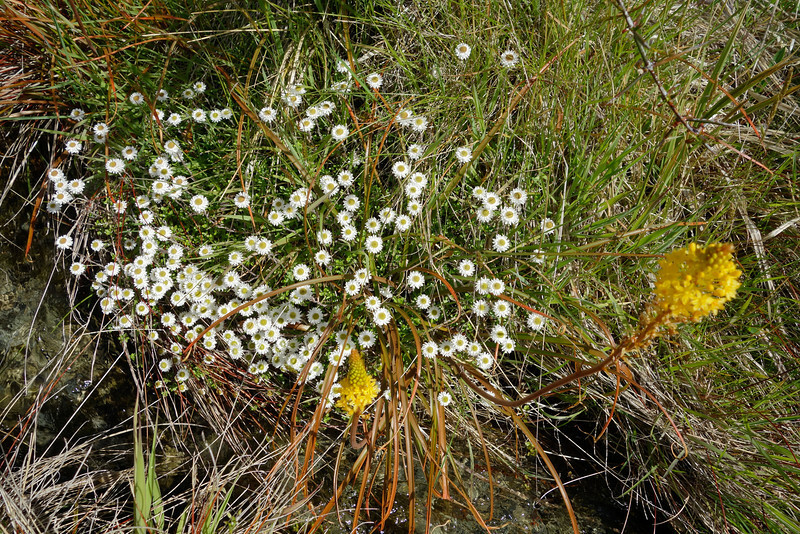 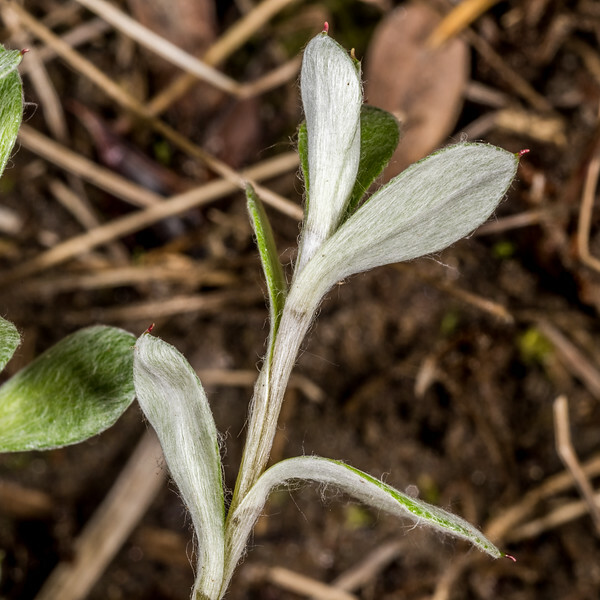 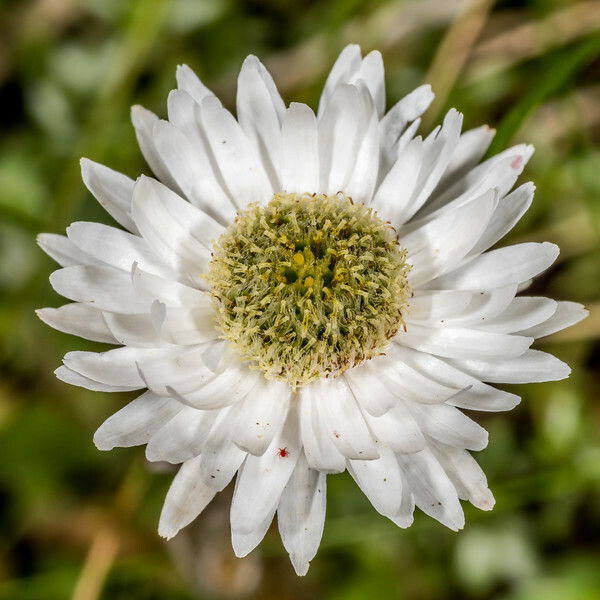 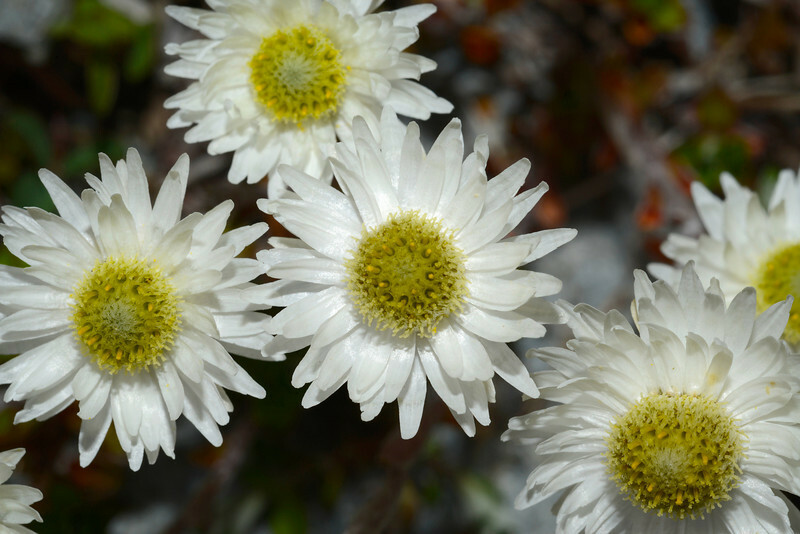 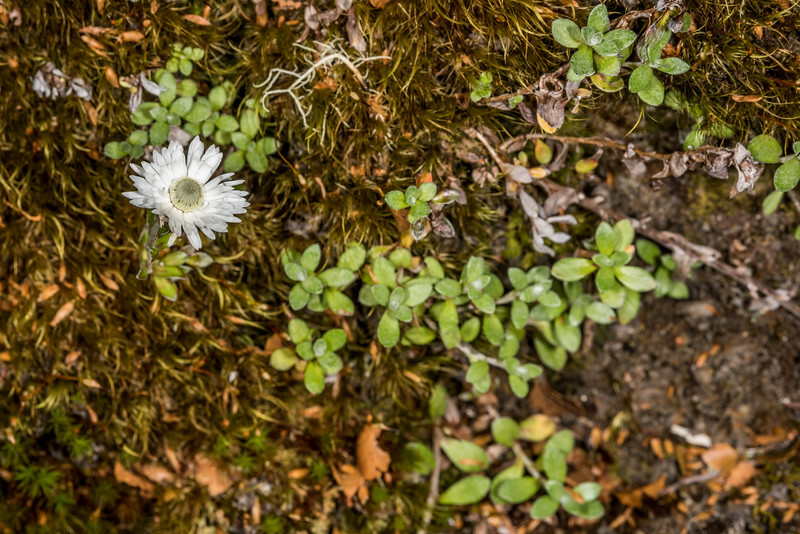 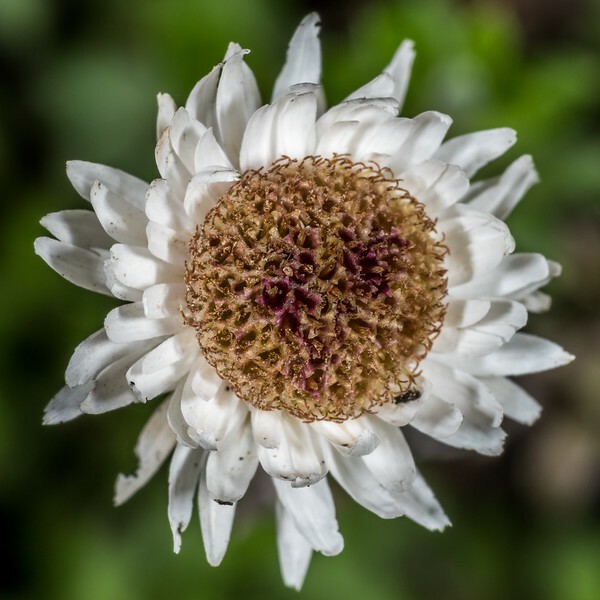 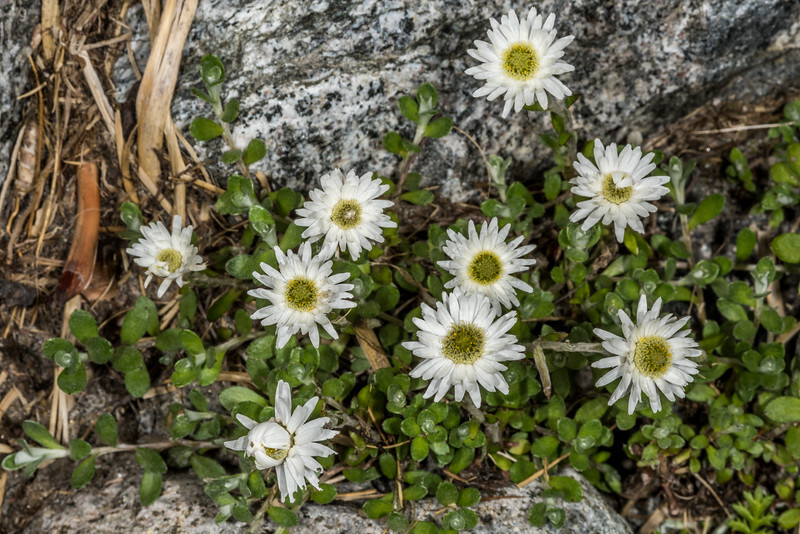 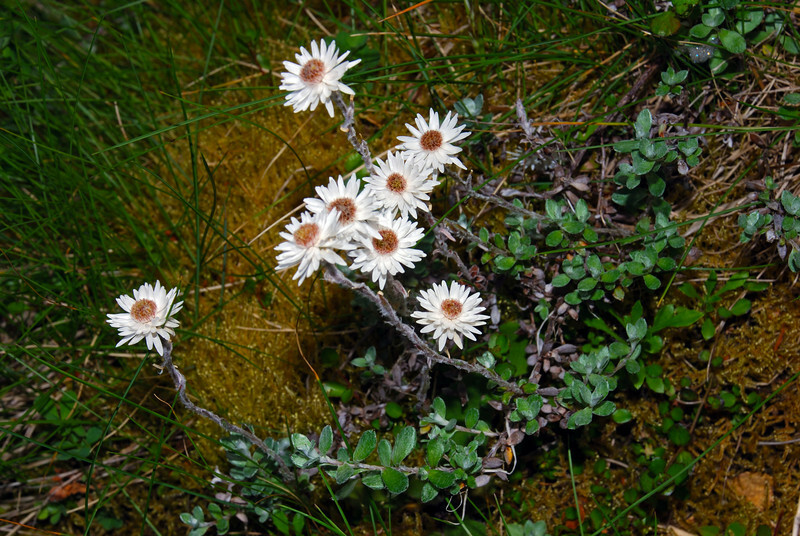 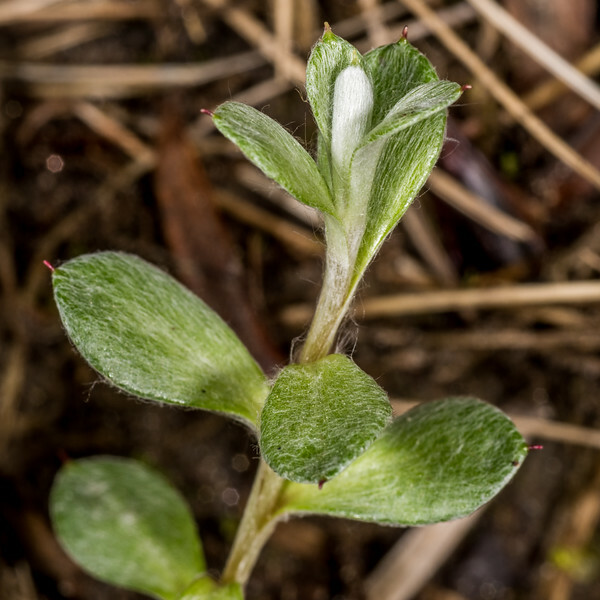 Everlasting daisy (Anaphalioides bellidioides). 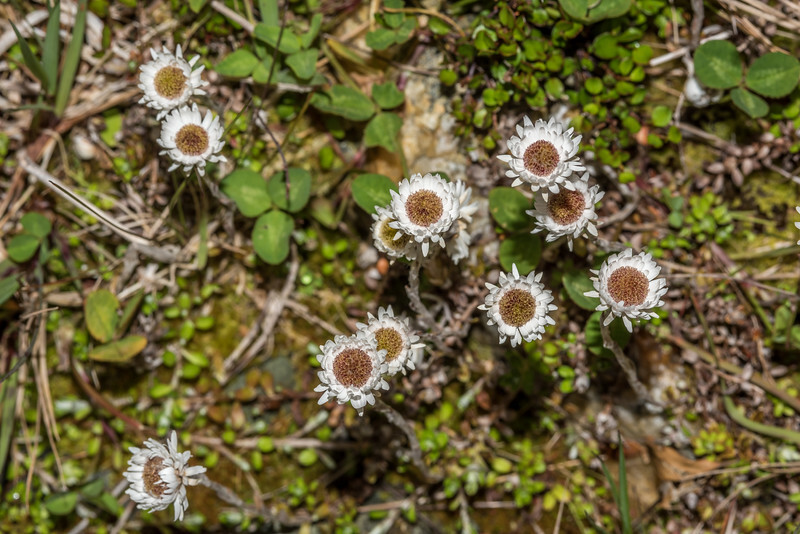 Ellis Basin, Arthur Range, Kahurangi National Park. 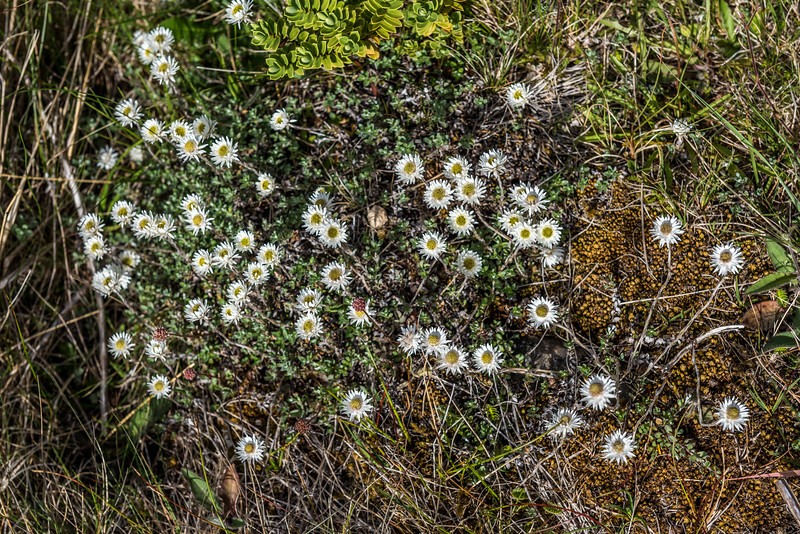 Everlasting daisy (Anaphalioides bellidioides). 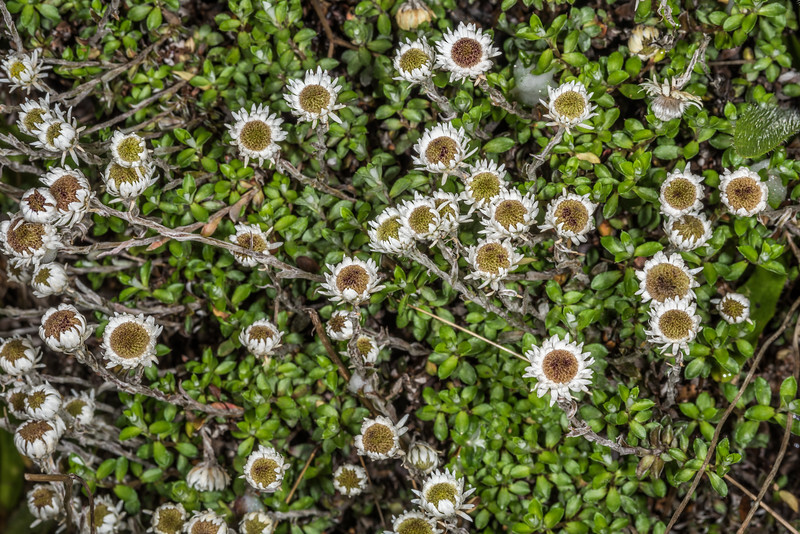 Gertrude Valley, Fiordland National Park. 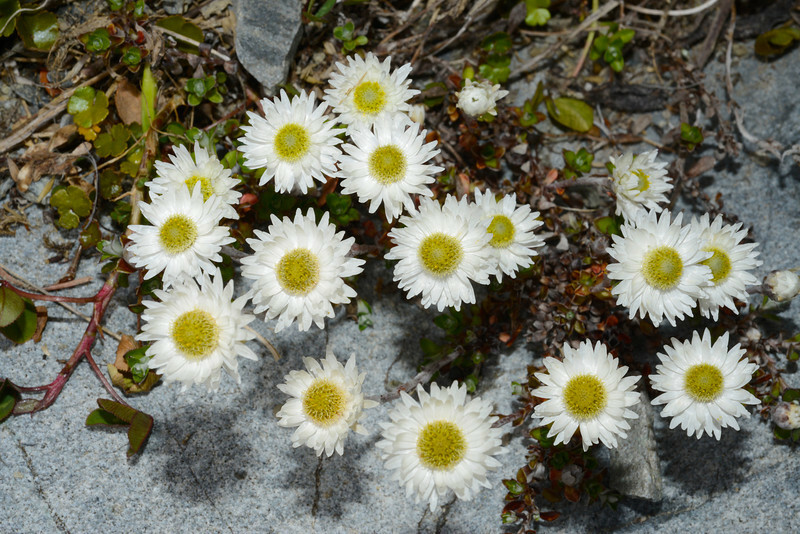 Everlasting daisy (Anaphalioides bellidioides). 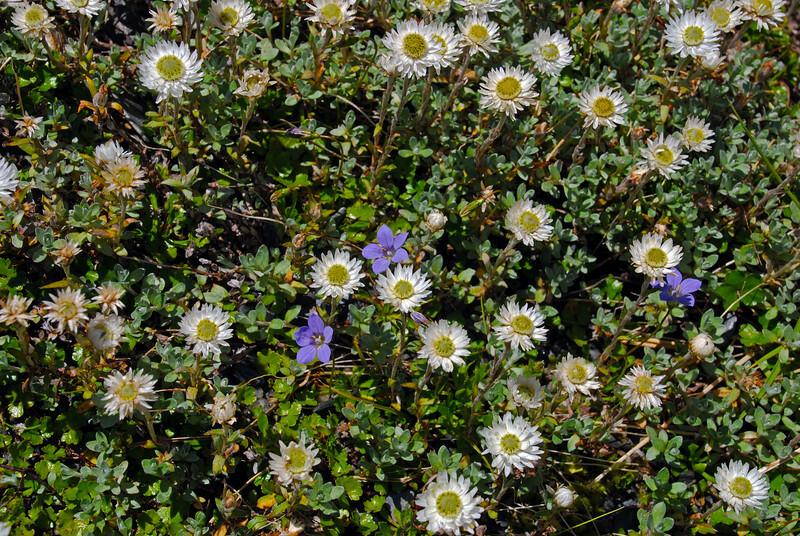 Iris Burn, Kepler Track, Fiordland National Park.